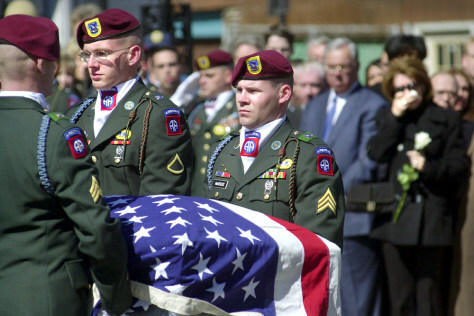 Members of the 82nd Airborne carry the coffin of their comrade, Sgt. Daniel Londono, from Our Lady of Czestochowa church in Boston on March 22. Londono, 22, of Boston, died March 13 when an improvised explosive device struck his vehicle in Baghdad.